Carnival Breeze marks a distinct new stage in the evolution of the cruise experience provided by Carnival Cruise Lines. As her Hotel Director Pierre B. Camilleri pointed out to me, Carnival Breeze differs from her predecessors in at least three distinct ways. 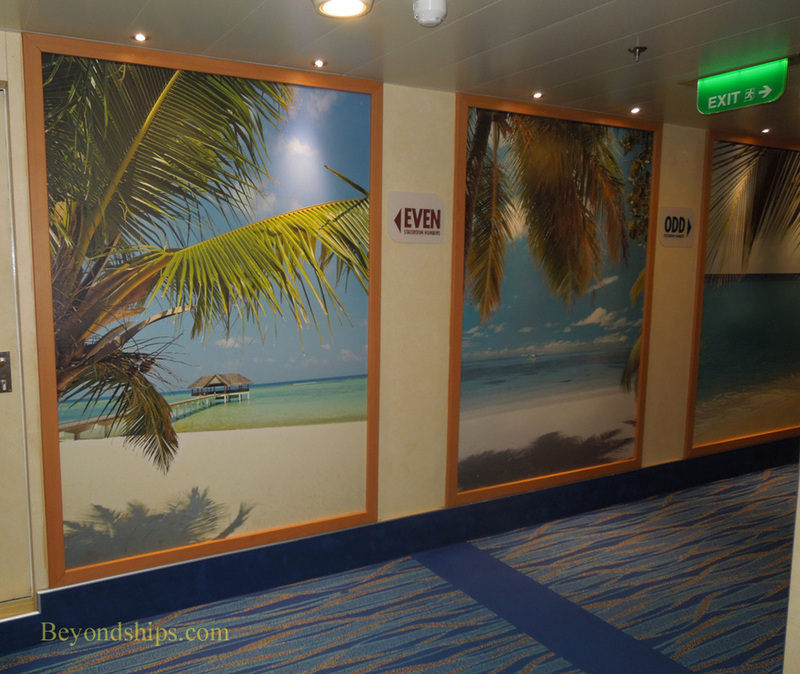 While Carnival Breeze may look like her sisters Carnival Dream and Carnival Magic from the outside, step inside and you will instantly notice that Breeze is much different in appearance from her sisters and indeed from any previous Carnival ship. The difference between Carnival Breeze and her predecessors is more than cosmetic. She has an array of features that is greater in number and in kind than earlier ships. While some earlier ships have some of these features, none have the same overall line-up. Essentially, a branded outlet is more than a physical place. It is a venue that is built around a concept. It has certain attributes and characteristics that flow from that concept. In addition, things such as décor and uniforms are used to support that concept. Thus, it is not just a bar, restaurant or entertainment facility on the ship but rather one designed to deliver a specific product or experience. Each outlet has a specific idenity. Moreover, it is an identity that can be transferred from ship to ship thus enabling the line to reproduce a branded outlet that has been successful on one ship to the rest of the fleet. To illustrate, on previous Carnival ships, there have always been bars by the main pool area. On Breeze, two branded outlets, the Blue Iguana Tequilia Pub and the Red Frog Rum Pub, have replaced those poolside bars. Each has its own theme and the décor and the drinks menu reflect that theme. As a result, they are more interesting and attractive to guests than previous pool bars. On Carnival Breeze, there are branded outlets galore. In addition to the aforementioned bars, branded outlets include: specailty restaurants, Farhenheit 555 Steakhouse, Bonsai Sushi, Cucina del Capitano; casual dining venues, Guy's Burger Joint, Blue Iguana Cantina, Jimmy's C-side BBQ; and bars such as the Red Frog Pub (Caribbean pub) and Piano Bar 88.